What do new words mean for our life? 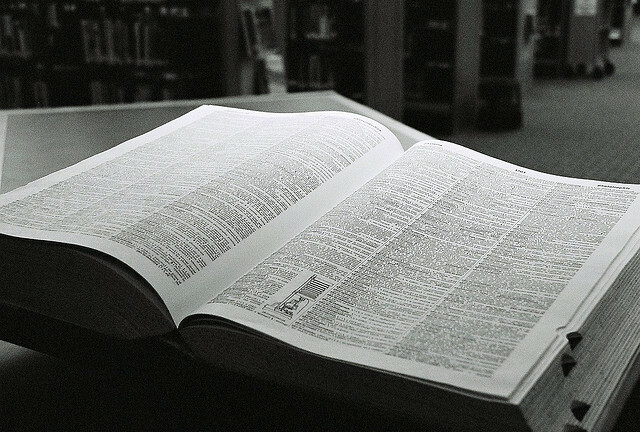 The staff of the Merriam-Webster Collegiate Dictionary pride themselves in staying current with language changes, word usage, and now terms that started as “slang” – “the jargon of a particular group”– become part of the general lexicon. Each year the dictionary dutifully adds new words that have worked their way into common parlance. In the last five years, the list of new, officially recognized words include a number of terms that are a true product of our times. In 2008 the word was bailout, “a rescue from financial distress.” In 2009, staycation, “a vacation spent at home or nearby.” In 2010, austerity, “enforced or extreme economy.” In 2011, boomerang child, “a young adult who returns to live at his or her family home especially for financial reasons.” And, finally, in 2012 underwater, “a mortgage loan for which more is owed than the worth of the property.” Are you picking up on the general theme here? Words are our windows to the world. They help to shape and they help us to describe and ingest reality. They allow us to order and create a geography of life, they help us define values and priorities. To me, these five words – bailout, staycation, austerity, boomerang child and underwater – are a true reflection of our deep seated concerns and worries since the beginning of what is now known as – another new or coined word/term – The Great Recession. I think many of us thought that our economic miracle would never end. That real estate prices would continue to rise. That stocks and bonds would always be, relatively speaking, a stable and dependable means to achieving wealth. That our children would automatically have successful economic and professional lives. And that all of us would be able to afford a second home or at the very least, three weeks of vacation. Well, what our new words reflect is a new age, a new world that all of us have to deal with. Perhaps in this world it might help if all of us pick up our dictionaries and rediscover some old words. Words such as humility, moderation, perseverance, charity, integrity and patience.